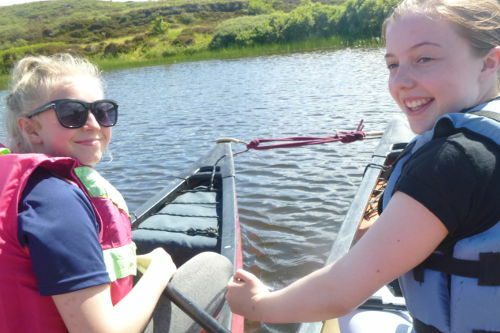 Ashleigh Stephen, a Participation Assistant at Midlothian Council, is celebrating after being nominated as a finalist at this year’s prestigious Scottish Social Services Awards, due to take place on 6 June 2018. Ashleigh has been shortlisted in the ‘Bright Spark’ category, which recognises and rewards a young person who is excelling in the work they do in the social care sector. The SSSA judges praised Ashleigh, noting she encourages opportunities for care experienced young people to have their voices heard by building strong relationships with them. Her determination to improve their outcomes stems from her experience of being in foster care and she is currently a kinship carer herself. Introduced just last year, the Scottish Social Services Awards aim to cut across boundaries, celebrate excellence and bring one of the country’s largest sectors together. This year’s awards attracted over 100 applications nationwide, representing a diverse mix of social services that have made a positive difference to people’s lives. A special policy focus award will also feature this year, which recognises those who play a crucial role in Children’s Services. This will be judged by a panel of young people who use, or have accessed, these important services. Minister for Childcare and Early Years, Maree Todd, said: “Almost 200,000 people work across the Scottish social services sector helping to support vulnerable people and improve their lives and these awards are an excellent way to recognise those making a difference in the sector. All finalists are invited to attend a special afternoon tea awards ceremony hosted by the Minister for Childcare and Early Years, Maree Todd, and Young Scot winner, Chelsea Cameron, at the Mansfield Traquair, Edinburgh on 6 June 2018 where the winners will be announced.